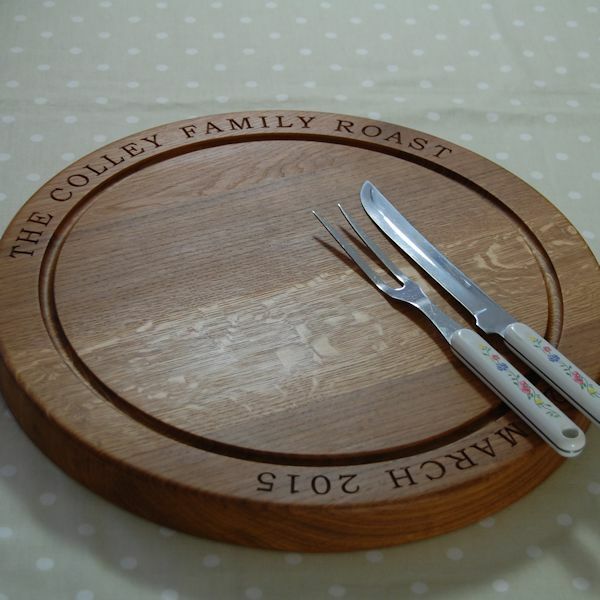 The Big Round Carving Board came about as the result of a request from an existing customer. 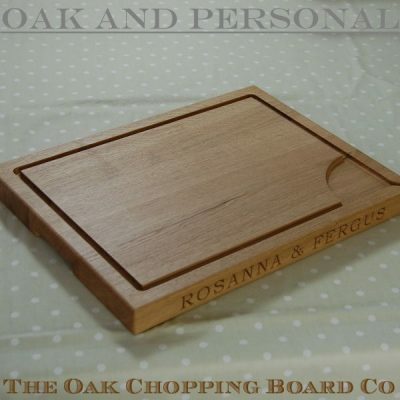 Each is hand made to order from full-length stave English or European oak and has an extra deep groove (around 8mm) to capture excess meat juices. 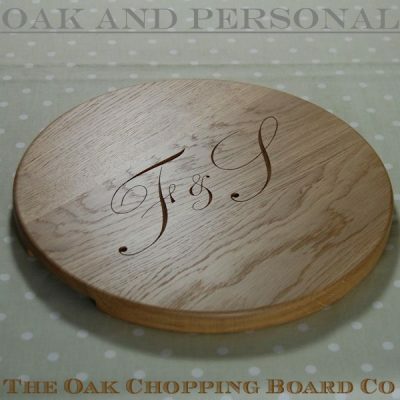 To add a personal touch, our round oak carving boards can be engraved with your own message or design. 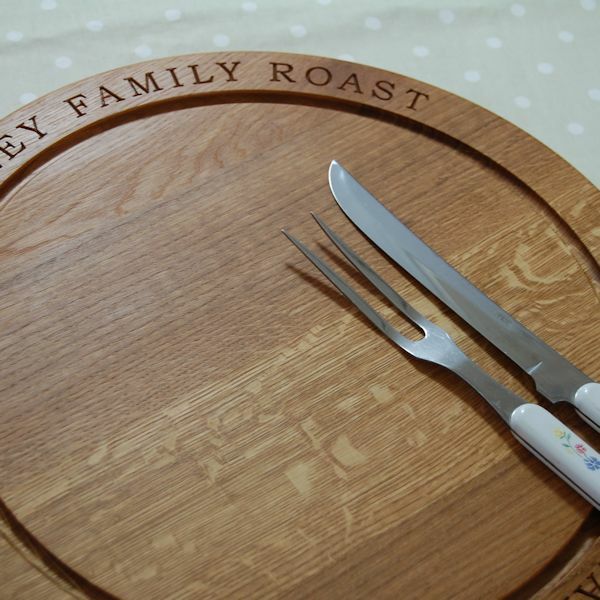 Made from full-length stave European oak, our personalised Big Round Carving Board is sure to be a talking point at the dining table. 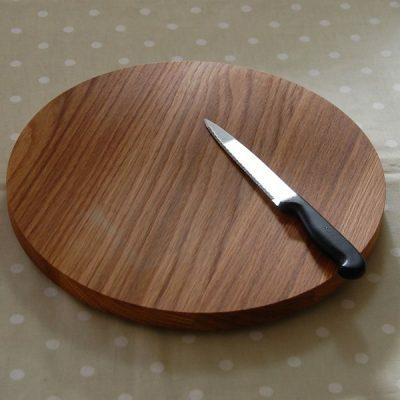 It measures 42.5cm in diameter and is 4cm thick. 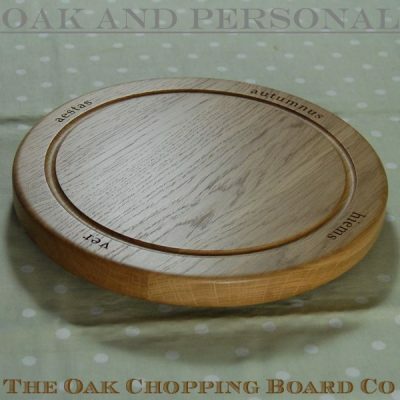 The Big Round Carving Board came about as the result of a request from an existing customer, and its circular design sets it apart from our rectangular wooden carving boards and the majority available on the market. 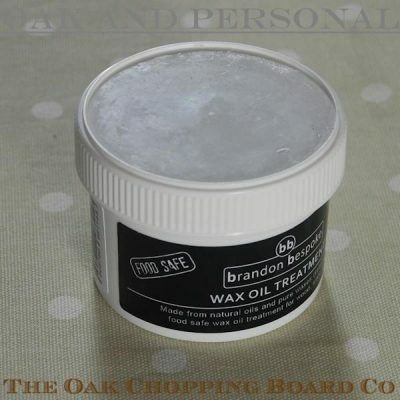 These boards are available with optional recessed handles. 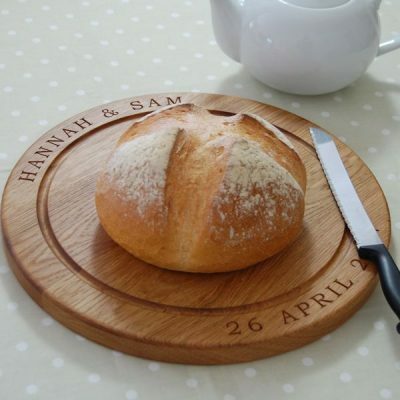 Each carving board can be personalised with your own message around the face. 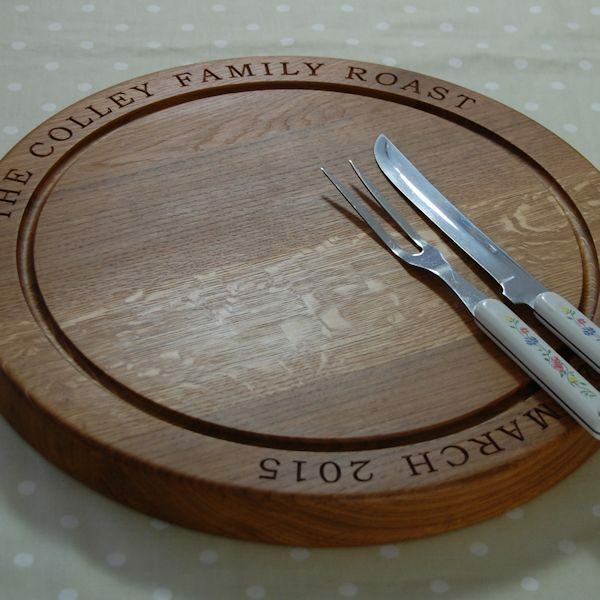 As this is a large board, for the purposes of engraving we divide it into 90 degree segments, and charge for each segment. There is no restriction on the number of characters but we can provide guidance if you are unsure of the best layout for your inscription. If desired, a design from our range of 2D and 3D motifs may also be included. We can also create your own unique personalised cipher. 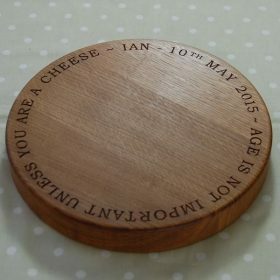 These personalised round carving boards make ideal gifts for a special birthday, housewarming gift, wedding present or perhaps an anniversary gift (5th anniversary is wood). 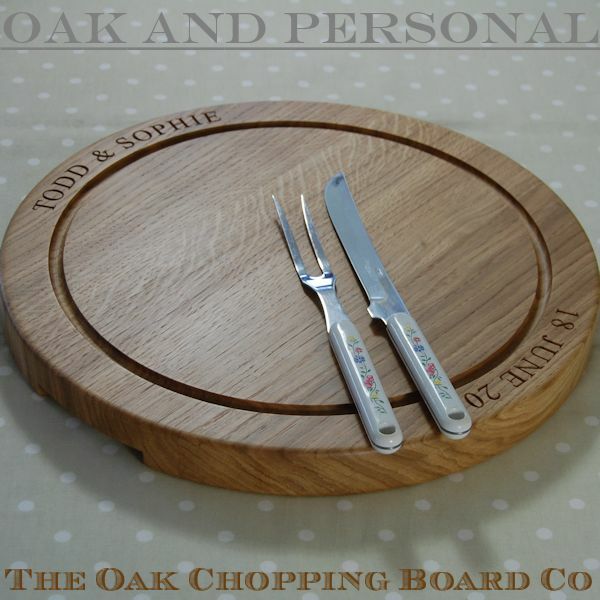 The prime English or European oak used in your personalised round wooden carving board or engraved circular carving board will be thoroughly treated with OSMO TopOil®, which is a blend of organic plant oils and waxes providing a natural, 100% food-safe finish conforming to EN-1186. 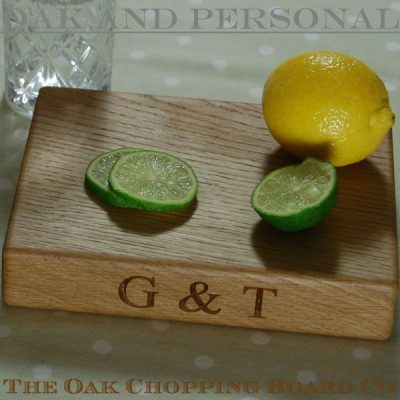 To maintain the beauty and durability of your carving board it should be regularly treated with OSMO TopOil which is available as part of our Wooden Chopping Board Care Kit. 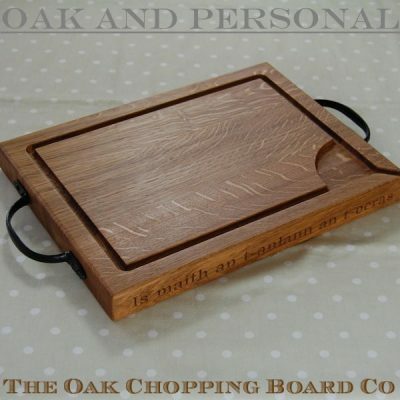 Just a note to say how beautiful the carving board is. 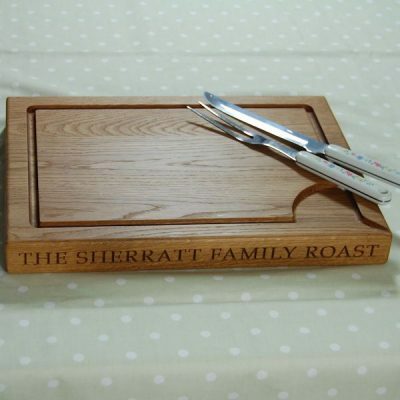 We were absolutely delighted and it has made the most wonderful present.